Life is hard, and then we are born. It is a quote to live by for many in this world, and for a select few, life will be even tougher. The ability to swallow one’s pride and do what needs to be done to eat and survive is an ability not many people have. It is also an ability that most often comes with a lack of humor and a lot of bitterness and resentment for many, but fortunately, not for all. 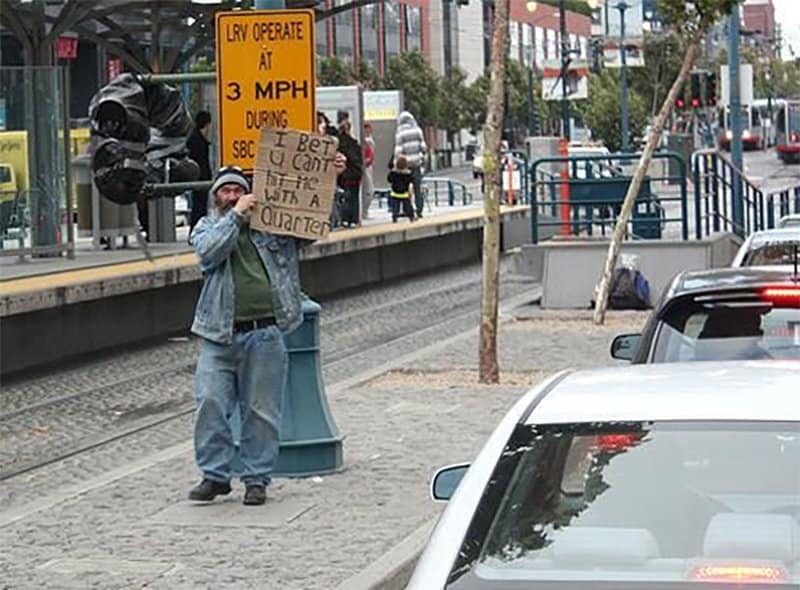 This is a list of ten awesome homeless people with a sense of humor. Their hope and will to live is certainly something many should strive for. Got a lunch date without a date? 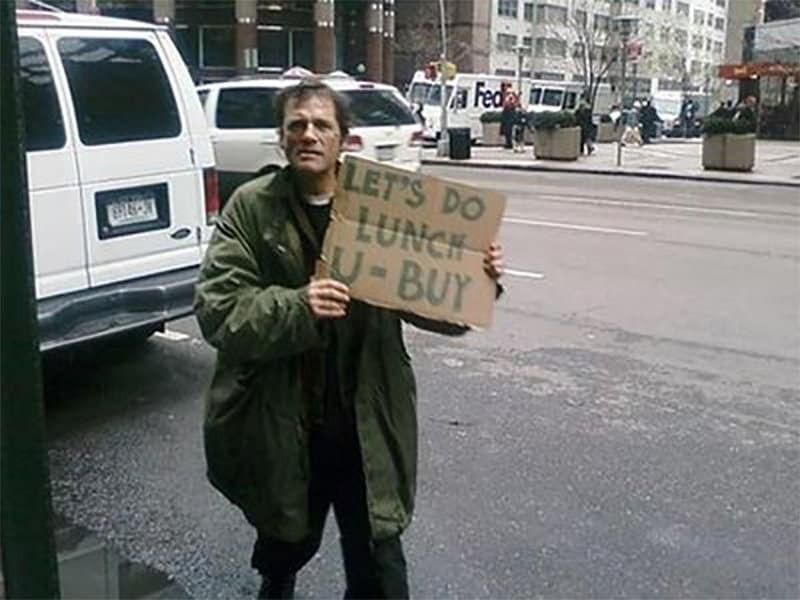 This fine gentleman is more than happy to provide the company if you provide the food. Who needs a therapist when there is this guy. 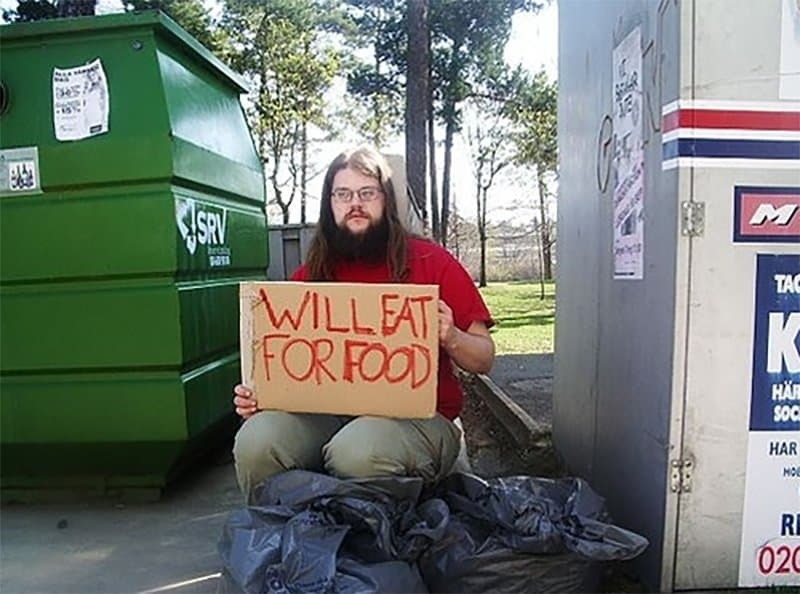 He saw a market opportunity and took it. 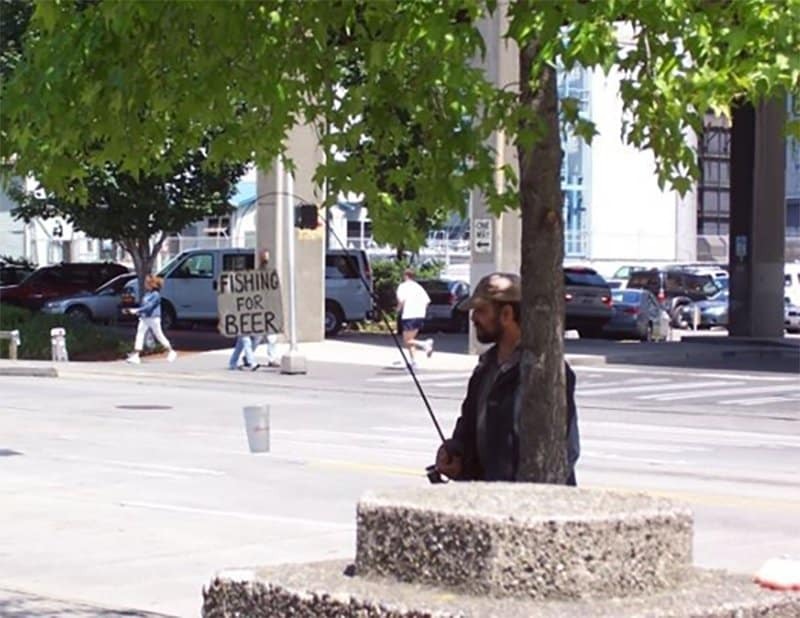 A funny pun for a funny homeless person. Here is to hoping he goes far in life. 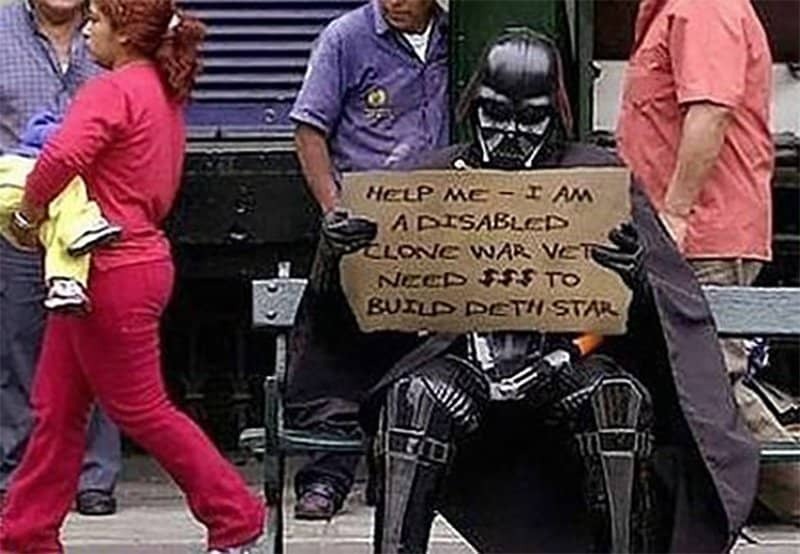 Poor Darth Vader, the first one ran her bankrupt, and now he has to stoop to a level perceived to be below himself. Two birds with one stone for this young man. Or is it one bird with one stone? Stuck in traffic and need a release? 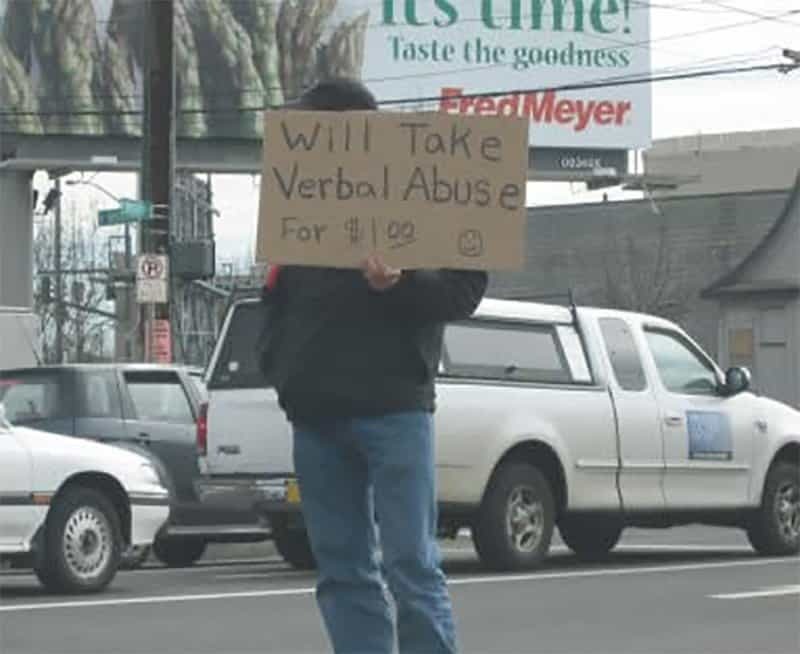 Why not spare a quarter, have some fun and make the world a slightly better place with this genius plan. 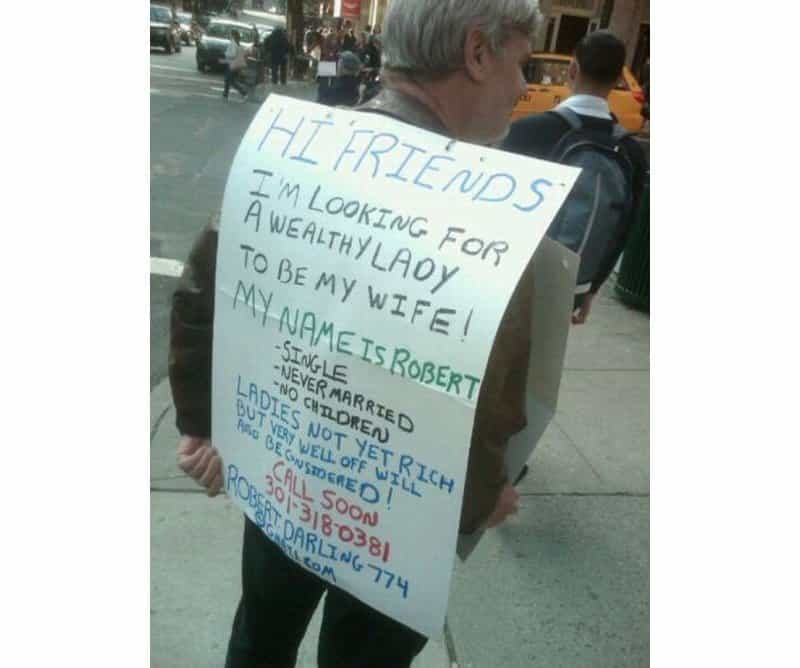 Everyone has heard about gold diggers before, but most assume it is women that perpetrate this. This man is bold and straight to the point with what he wants. All the power to him. 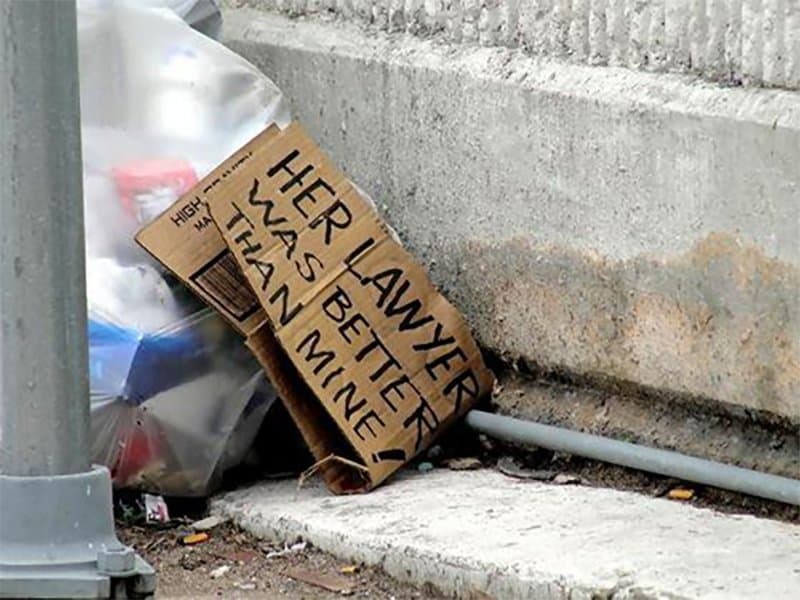 When it is meant to be a 50/50 split, unfortunate cases do occur where lawyers show their slimy true self and weasel out deals that are less than fair. Fortunately it does seem that this sign was disposed of, so hopefully the world for this man was righted. 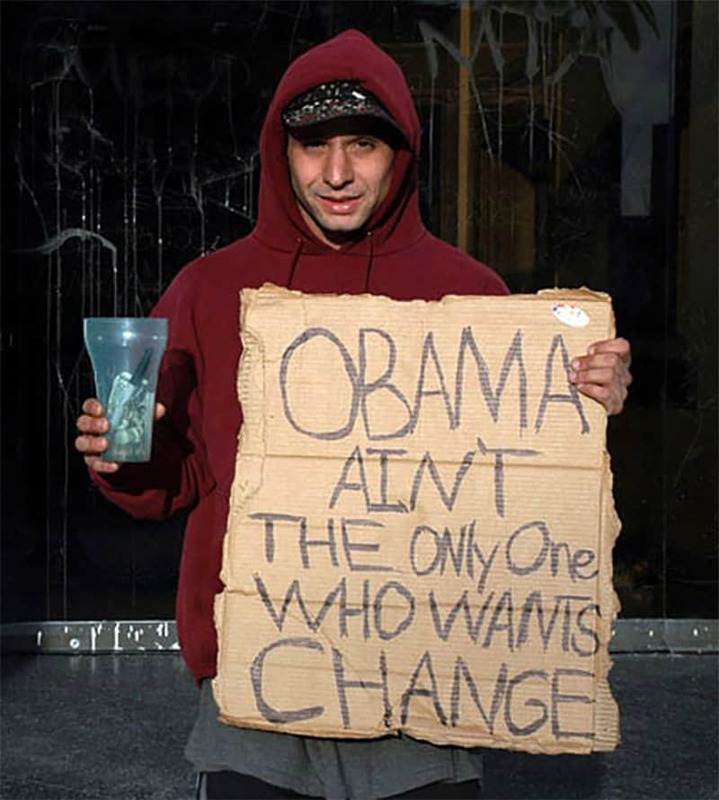 This man is straight forward about where the money that gets given to him goes. All the best to him, and hopefully it starts raining beer, not just to make his day but to improve everyone else’s day as well. 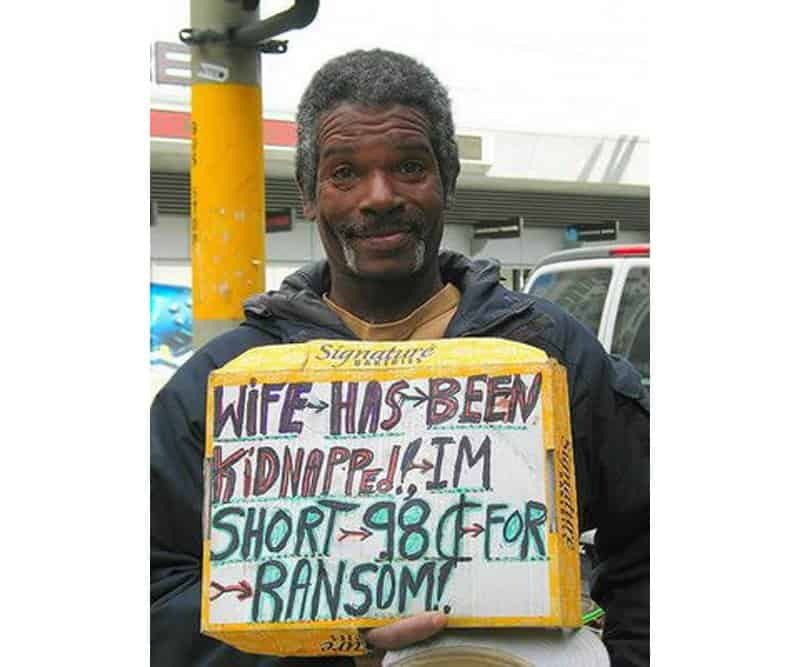 Life must be tough when it is only 98 cents that you are short to return your wife.